Back at the start of October, I wrote about reading while I get other items done. 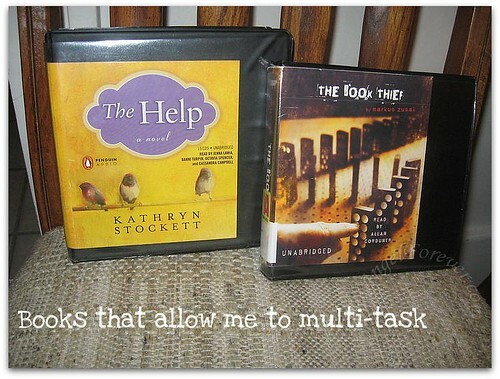 One of those books was The Help by Kathryn Stockett. I had the audio version of the book on my MP3 player. The MP3 player went with me all over the place because I wanted to keep reading and hear what would happen next. I was thrown into the world of the characters and needed to listen to their tale. Before I knew it, I was finished and left to figure out what to read next. All these months later, I am excited that The Help will now be coming out as a movie. As a teacher, I have to admit – books to movies do worry me. Too many times beloved books come to life on the big screen and then things change. The Help comes to theaters August 12. I hope to see it soon after the release so I can see the amazing women in the film come to life. If you are a fan and want to check out more, The Help Movie has a Facebook page and are also on Twitter. Have you read The Help? Are you looking forward to the movie? I would love to know what you think of books coming to life on the big screen. Disclosure: PR from DreamWorks sent me media information about The Help. As a fan of the book, I wanted to share this information with my readers. No compensation was given, and all opinions are mine. I came of age in the south during that time and, although we were never either well off or even upper middle class, both my parents worked and at times we were taken care of by black women, one of whom lived with us during the week (and brought me little dime-store gifts when she came on Mondays, I’ll never forget). I can vouch for the authenticity of this story, even much of the music and trends depicted. It really took me back, and I cannot wait for the movie. I read this about a month ago. I am so excited to see it in movie form! !